Let me preface this post by stating that I am immensely obsessed with cardigans. I think having a varied collection of cardigans is essential to one's fashion survival. The pieces I bought were a bit of a splurge, but they were definitely worth it! The first cardigan I got was a pink one from Juicy Couture. I know it's very pink but I have a pair of pink Max Mara flats that will match this cardigan perfectly, and having this cardigan allows me to wear my flats more often! The next piece is from Tibi. Oh, how I adore Tibi. 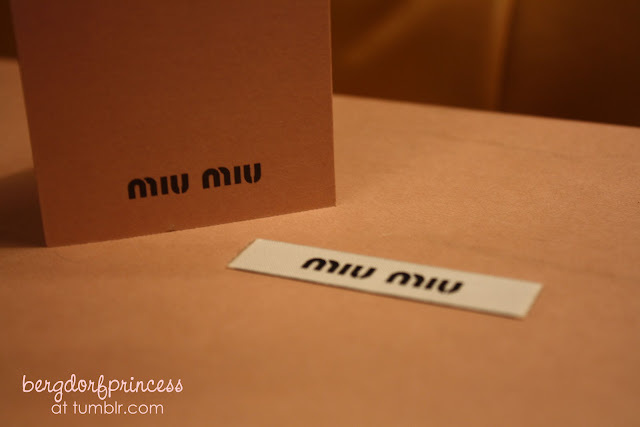 Miu Miu boxes are so pretty! I also bought a new pair of socks lol. Gorgeous cardigan! I like Tibi a lot. Those Miu Miu flats are TDF! So how much were the flats? 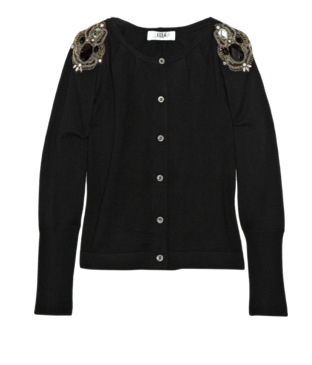 The Tibi cardi is so chic!